July 30, 2012 December 4, 2013 / Julie Brook, Esq. When it comes to a jury trial, counsel’s persuasiveness depends to a large degree on his or her credibility, i.e., whether counsel seems to be “playing fair” and not trying to hide the facts. Making too many objections can undermine that credibility, because jurors may believe that an attorney who constantly raises objections is trying to keep them from learning the truth by throwing technical roadblocks in the opponent’s path. When making yet another objection risks the ire of the jury, consider these three alternatives. 1. Not objecting. An alternative that trial counsel should always consider when the opponent offers evidence that is technically objectionable is to refrain from objecting. In addition to the fear of alienating the jury, one of the principal reasons for not stating an objection, although one is available, is the danger of highlighting harmful evidence. On the other end of the spectrum, experienced trial counsel seldom object to evidence that is unlikely to make a difference in the case, or the evidence threatens only negligible harm. Summary objections. 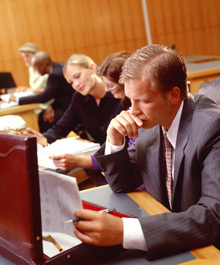 When confronted with opposing counsel asking leading questions during direct examination of their own witnesses even after completing questions on preliminary matters, you can refrain from objecting at first and then, at the point when the questions start probing into damaging matters, assert a summary objection; although the summary objection is technically an objection only to the last question asked, it also refers to the preceding series of questions and thus carries added weight on leading questions. 3. Impeaching the witness. A tactic sometimes used as an alternative to objecting is to let the witness answer without objection and then demonstrate, through cross-examination or other evidence, that the witness is wrong or lying. Jurors might regard objections as part of a tedious, time-consuming game played by the attorneys and the judge, with an appalling disregard for getting to the bottom of things. And don’t fool yourself — no matter how emphatically the judge admonishes the jury not to draw adverse inferences from objections, the unfavorable impression can’t be entirely dispelled. Although trial objections are often necessary and useful, using these alternatives may help keep the jury on your side. 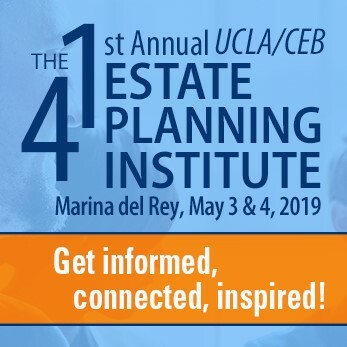 For everything you need to know about trial objections, including when to use alternatives to them, turn to CEB’s California Trial Objections, chap 4. On the factors to consider when deciding whether to object, check out my earlier blog post To Object or Not to Object. CEB’s also has an excellent CLE program on Handling Trial Objections, available On Demand.